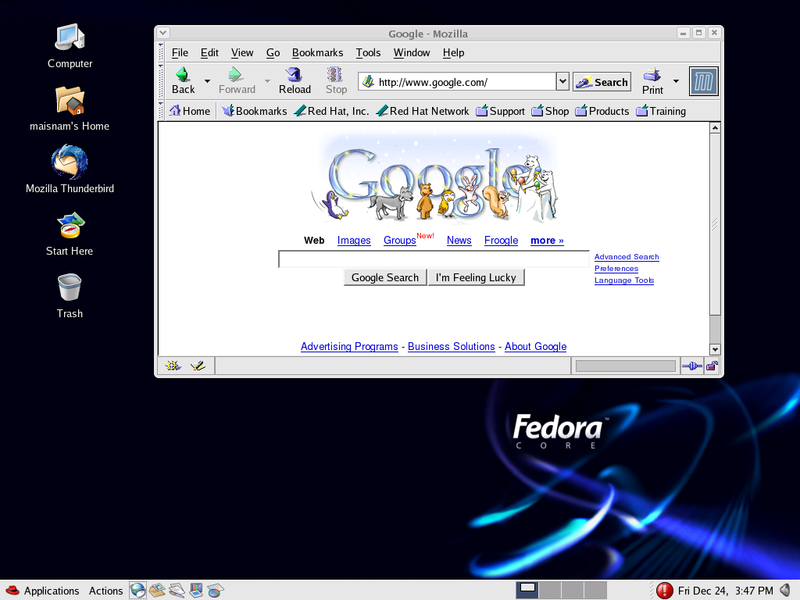 Upgraded my linux machine from Fedora Core 2 (Tettnang) to Fedora Core 3 (Heidelberg). Here are the steps I followed. Downloaded the ISO images (FC3-i386-disc1,2,3,4.iso) from ftp://sunsite.utk.edu/pub/linux/fedora/3/i386/iso/ .The download took about 10 mins each for each CD image. Maybe it was faster because I was in my office and downloading from the UTK network. So, maybe it was like downloading over the LAN. Inserted CD1 into my Linux machine and rebooted it. Chose the “Upgrade” option after reboot. The total process took about 2 hours. Everything seems to be working well. Note: Make sure you have all 4 CDs before you start the upgrade process. Note: This gives the local ip of your machine. Look in eth0 > inet addr. The above example copies the www folder in /home/maisnam/ from server 1 to the /home/maisnam/ folder on server 2 (192.168.1.107 in the example above).